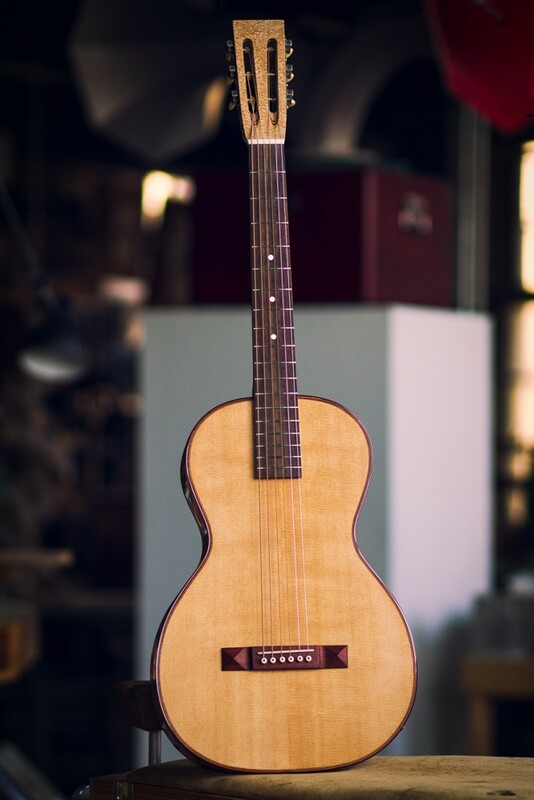 The Luddite Amontillado guitar fulfilled a request for an acoustic instrument that would primarily be used with an under-saddle transducer plugged into an amp. This application is known to have feedback problems. 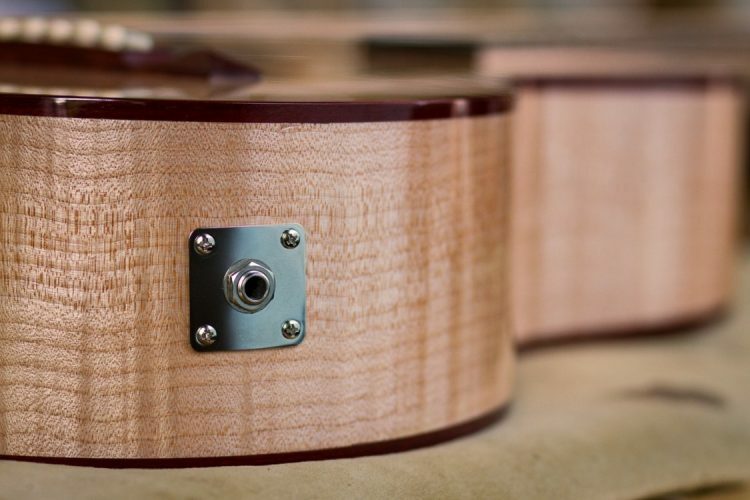 There are after-market soundhole plugs designed to solve this problem, but they are inelegant and deaden tone. 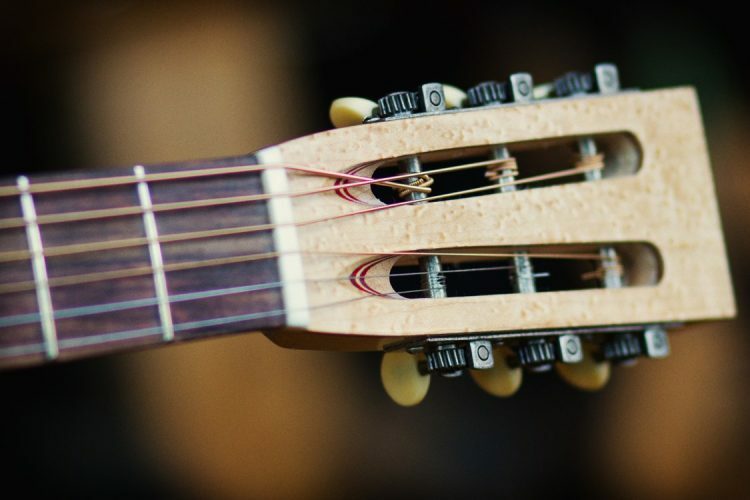 I came up with one possible solution – simply omit the soundhole all together! But would the guitar make any sound acoustically? 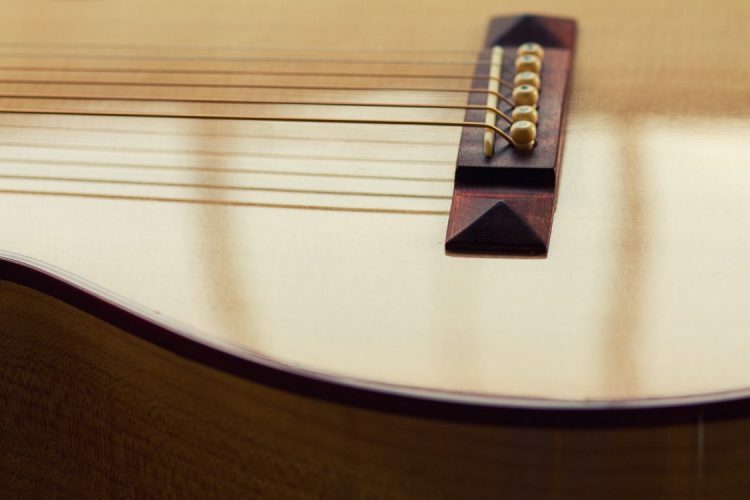 I felt confident that all the nuance of a fine acoustic guitar would be trapped inside and delivered through the pickup, but whether any acoustic volume would be produced remained a mystery. There was only one way to find out. Build it. As I toiled away building the guitar, a name came to me – The Amontillado. I recalled the Edgar Allen Poe story “The Cask of Amontillado” where a fellow takes revenge upon a friend who has insulted him by subjecting him to immurement (a form of execution where a person is walled up within a building and left to die). 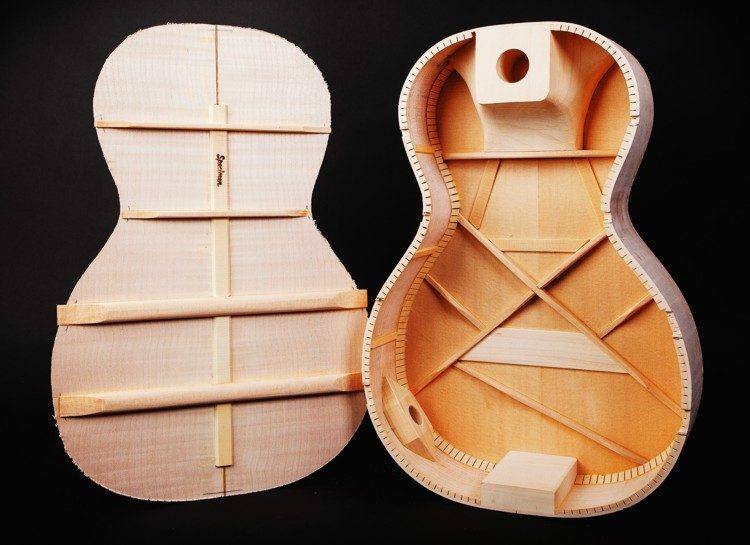 Once the back was glued on, this guitar would likewise become a permanently sealed chamber. 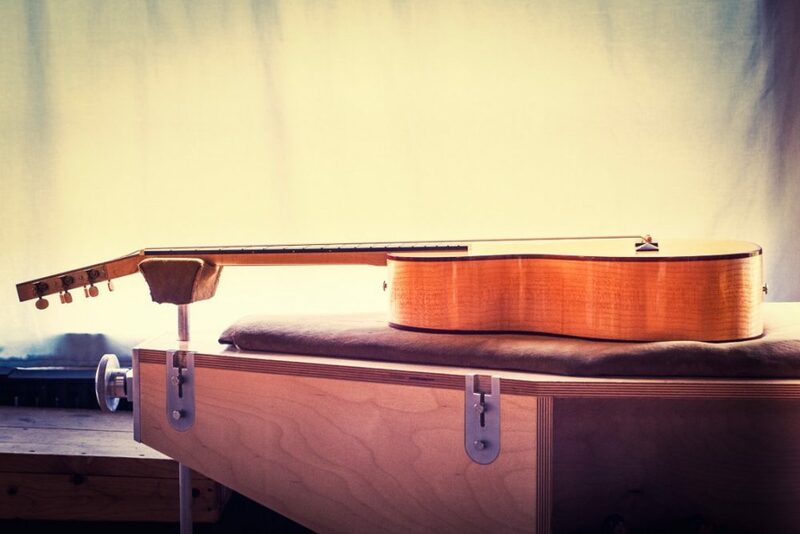 See pictures of the custom bracing locked inside this guitar in our Blog. 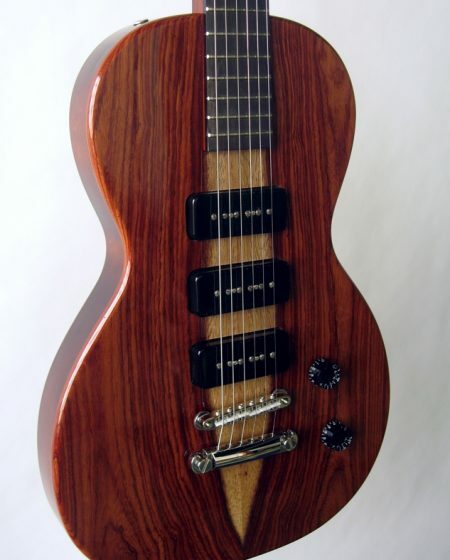 When considering the hardware and binding, it seemed appropriate to use a Bloodwood for the bridge, binding, and laminations. 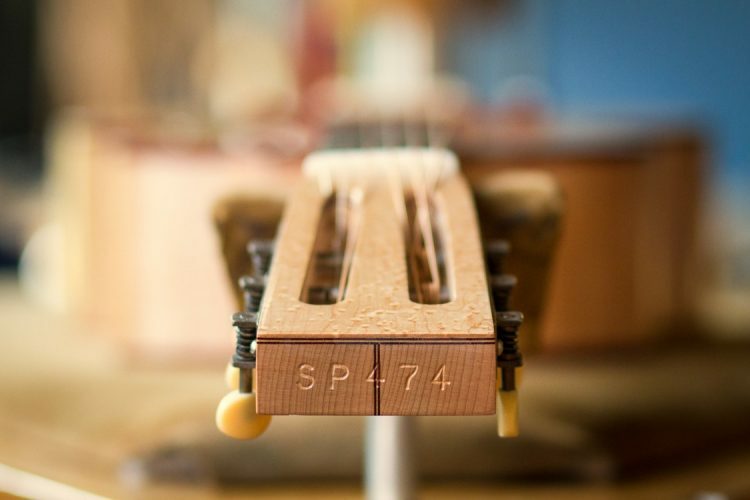 It keeps this instrument very plain and basic, yet to the point. 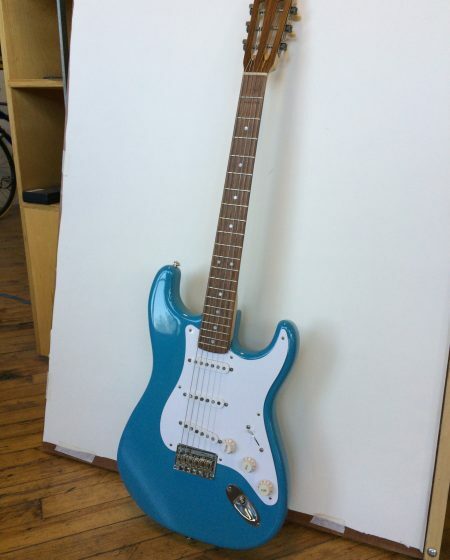 Another distinguishing feature of this guitar is its bolt-on neck. 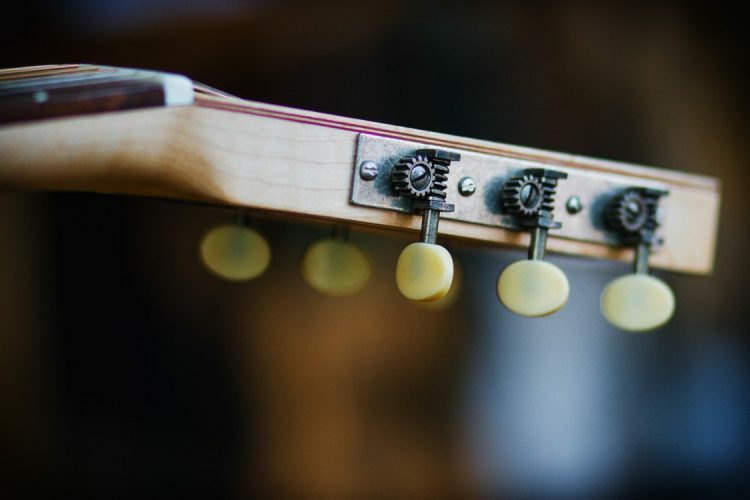 There are many advantages to a bolt-on neck, such as variable pitch, but bolt-on acoustics are often poorly constructed. 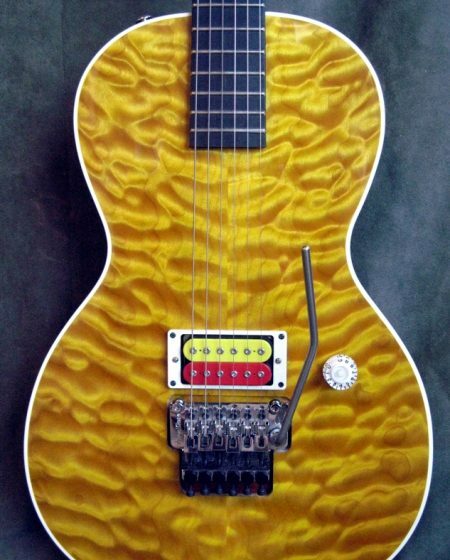 For this guitar, I designed a special vertebral neck block to accommodate the historically well-proven neck heel format. 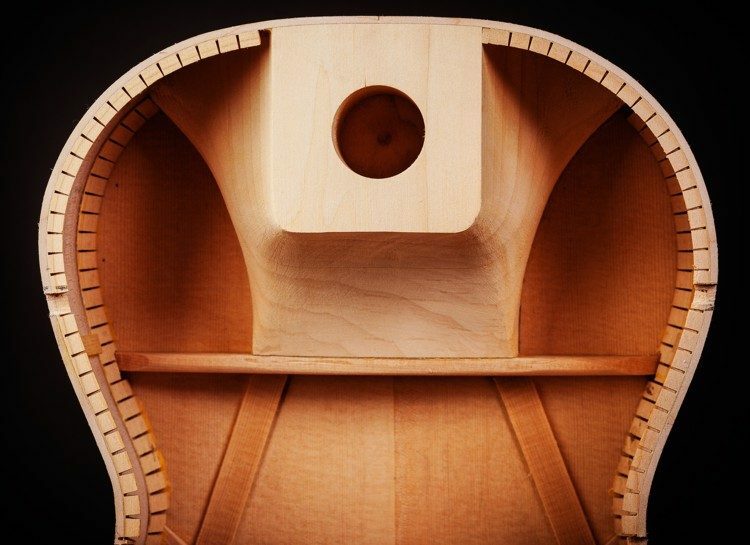 Made from Linden wood, it interfaces with the acoustic box structure without damping tone unnecessarily. 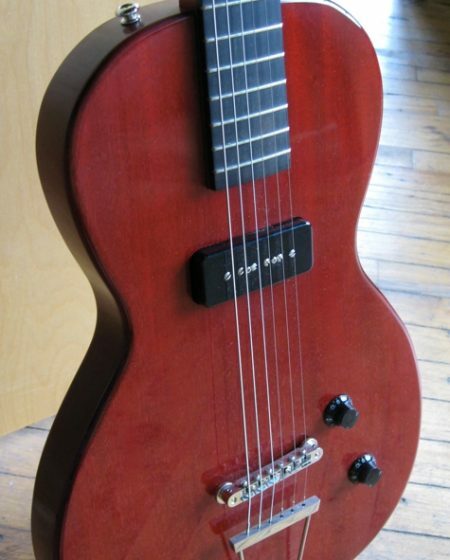 The resulting instrument is a guitar that not only has good acoustic volume, but also an amazing electric output. Sealing the chamber completely produced an acoustic suspension that focuses vibration on the transducer. This results in a magnification of detail in the electronic output. 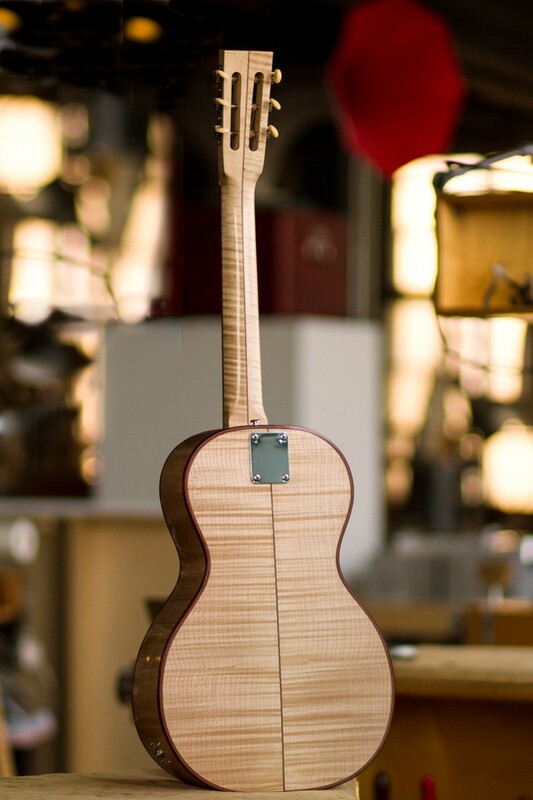 Learn more about the making of this guitar, including pictures taken during the building process, in our Blog.